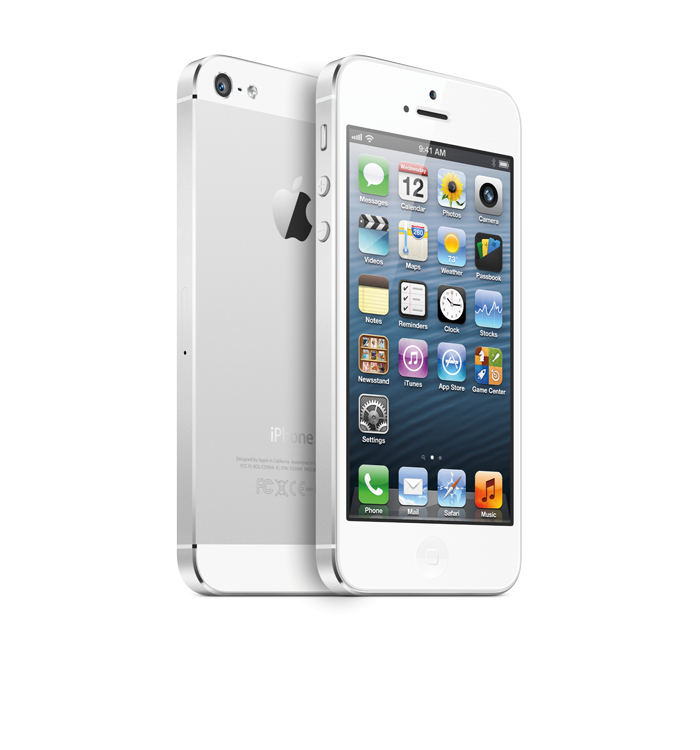 Apple's newly unveiled iPhone 5 is the thinnest smartphone on the market and the lightest iPhone yet, all while packing in a taller 4-inch Retina display and high-speed 4G LTE connectivity. It launches in nine countries on Sept. 21 after a round of pre-orders on Sept. 14. 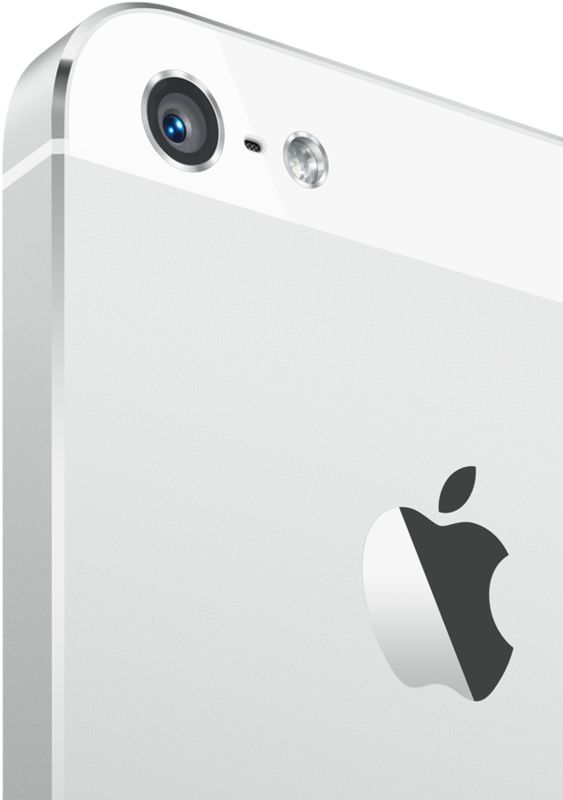 The redesigned iPhone 5 features a 7.6 mm aluminum "uni-body" chassis with diamond cut edges and glass inlays for what Apple calls "incredible fit and finish." 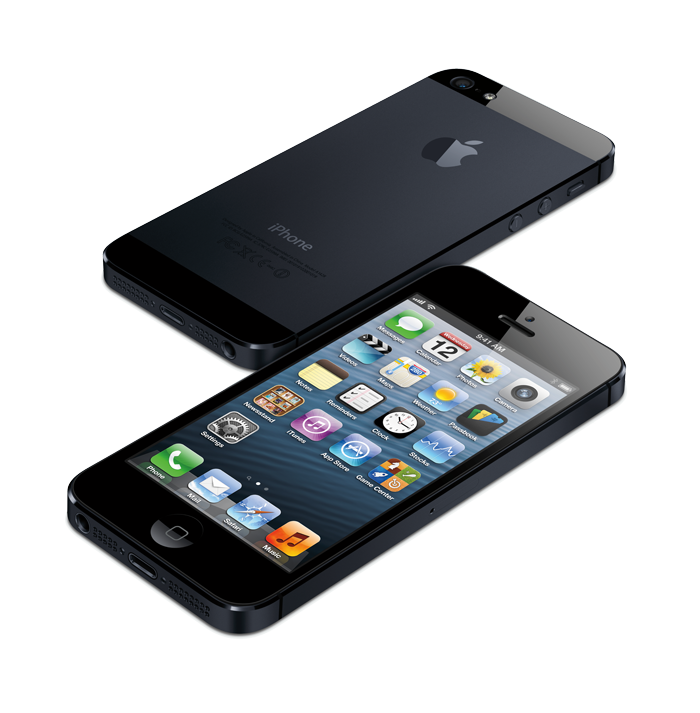 The design is 18 percent thinner and 20 percent lighter than the last generation iPhone 4S. In cutting down on the iPhone 5's thickness, Apple created a new, smaller 9-pin dock connector dubbed Lightning. The all-digital connector features adaptive operation that uses only necessary signals for each attached accessory. In addition, the 30-pin dock connector replacement is reversible. Adapters will be available to ensure compatibility with legacy accessories. One of the iPhone 5's highlights is the new 4-inch 1136-by-640 pixel Retina display, the first screen size change since the first iPhone launched in 2007. Apple chose to stretch the screen's vertical dimensions rather than making it wider, thus retaining the ability for users to operate the device with one hand. All of the native applications in iOS have been updated to take advantage of the new, larger display. In an on-stage demo, Schiller showed off how Calendar shows off a full five-day workweek, and how the iWork suite has been updated to use the expanded real estate. Old applications will run letterboxed on the larger screen, with black borders on either side centering the application, allowing for what Schiller called "pixel-perfect" rendering. He said that developers will be able to quickly and easily updated their applications to take advantage of the new display. The new panel uses in-cell technology that integrates the touch sensors into the Retina display, allowing the screen to be even thinner and sharper while producing minimal glare in sunlight. Schiller said the new screen has 44 percent better color saturation, with full sRGB rendering. Another major feature of the new iPhone is 4G LTE connectivity, which allows for the fastest mobile data connections available. 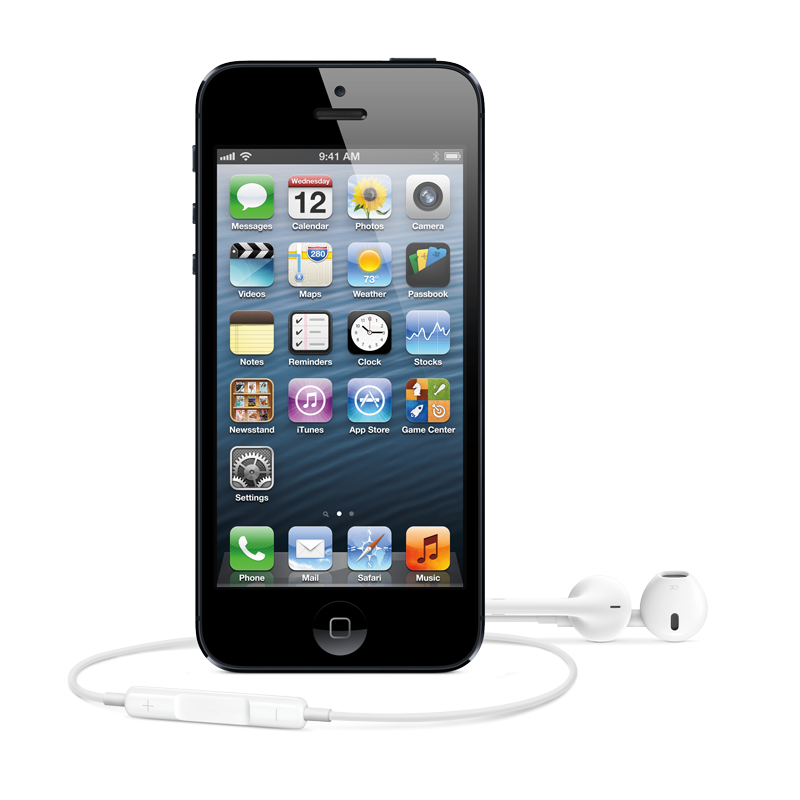 The iPhone 5 also sports a dynamic antenna that switches between connections seamlessly. AT&T, Verizon and Sprint are slated to support 4G LTE in the U.S. while the handset will be compatible with Rogers, Telus, Bell, Virgin and Fido in Canada. More carriers were also listed for Europe, Australia and Asia. 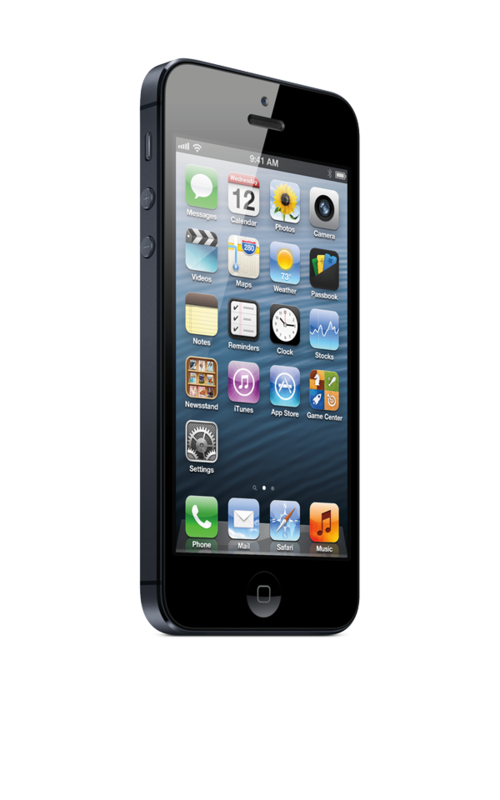 In addition to the existing HSPA+ network compatibility, the iPhone 5's new baseband chip brings DC-HSDPA support, allowing Apple to offer the handset over a more diverse set of carriers. The Wi-Fi chip retains the usual 802.11a/b/g/n specifications, but adds dual-band 802.11n support to achieve speeds up to 150Mbps. The all-new A6 processor promises graphics and CPU performance up to two times faster than the legacy A5 chip. Schiller said the A6 will launch Pages more than twice as fast, save an image from iPhoto 1.7 times as fast, load the Music app with songs 1.9 times as fast, and view a Keynote attachment 1.7 times as fast. The addition of 4G LTE and the A6 CPU will not have a negative effect on battery life, according to Apple. Schiller said that the new iPhone 5 will not only match, but will exceed the battery life of the iPhone 4S, offering 8 hours of 3G or LTE talk time and Web browsing. Rob Murray from game developer Electronic Arts appeared onstage at Wednesday's event to show off Real Racing 3 running on the iPhone 5. The new processor allows for the racing title to render real-time reflections and live rear-view mirrors. The rear-facing iSight camera has been upgraded and now sports an 8-megapixel sensor that captures images as large as 3,265-by-2,448 pixels. The new imager boasts a five-element lens assembly with a maximum aperture of f/2.4 and a sapphire lens cover, allowing it to be thinner and more durable than its iPhone 4S counterpart which used regular glass. Also built in to the iOS 6 camera application is support for panoramic photos. Users simply sweep the scene horizontally to maximize resolution, which can result in a 28-megapixel image. The rear camera can record 1080p high-definition video with improved the video stabilization, face detection for up to ten faces and the ability to capture still photos while recording. The forward-facing FaceTime HD camera also uses a backside illuminated sensor that records 720p video. Both cameras will integrate with the new iCloud Shared Photo Streams, a new iOS 6 feature that allows users to share photos through Apple's cloud service. A new rear-facing microphone has also been added between the camera and LED flash, allowing for improved audio recording and noise cancelation. In comparison, the iPhone 4S used two microphones, the usual unit at the bottom of the handset and one located at at the top next to the headphone jack. Pricing will be identical to previous years, with the 16 GB model available for $199 with a new two-year contract, 32 GB model for $299, and 64 GB for $399. Preorders will begin this Friday, Sept. 14, and it will launch in the U.S., Canada, U.K., Germany, France, Australia, Japan, Hong Kong and Singapore a week later. Apple's iPhone 5 will roll out in 22 additional countries on Sept. 28, including Austria, Belgium, Czech Republic, Denmark, Estonia, Finland, Hungary, Ireland, Italy, Liechtenstein, Lithuania, Luxembourg, Netherlands, New Zealand, Norway, Poland, Portugal, Slovakia, Slovenia, Spain, Sweden and Switzerland.